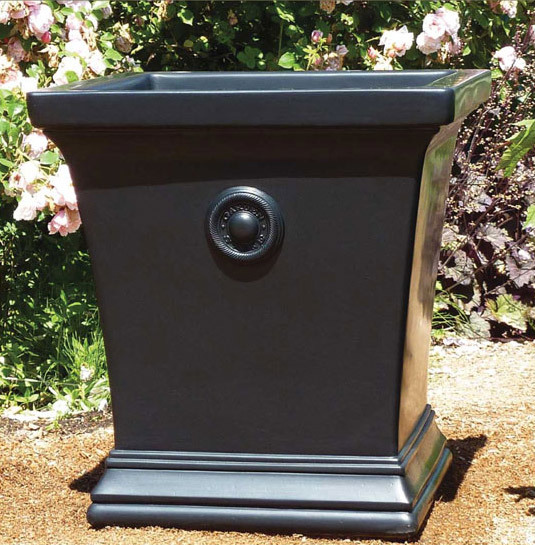 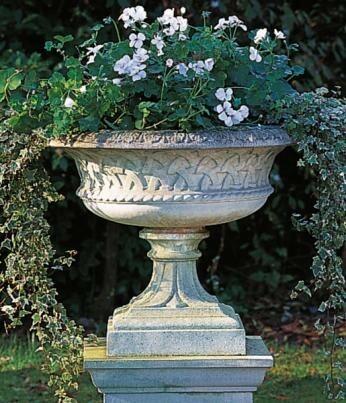 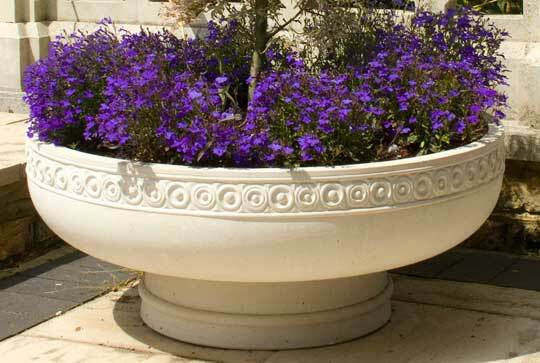 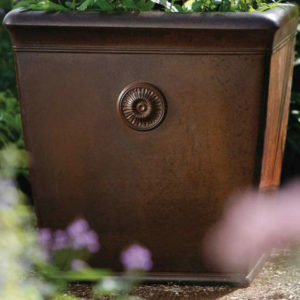 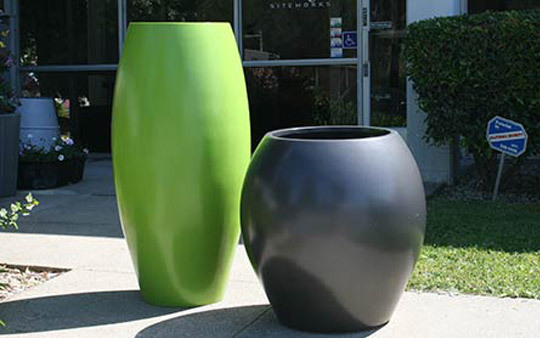 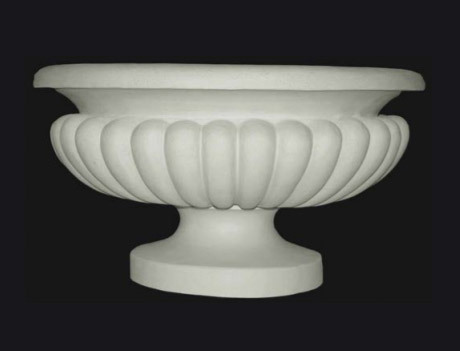 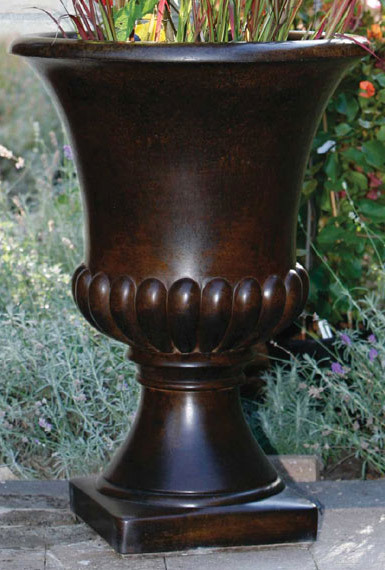 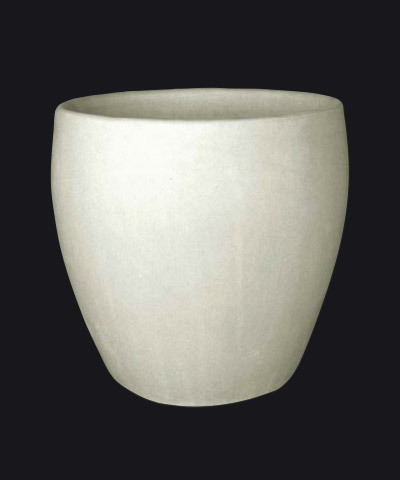 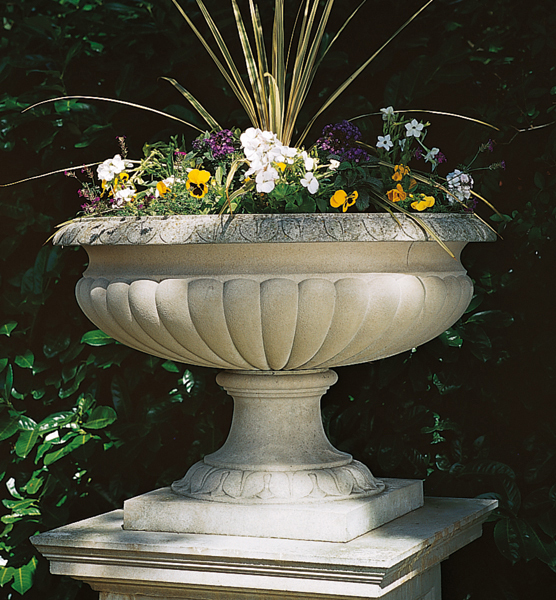 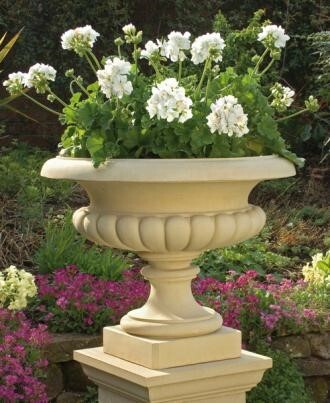 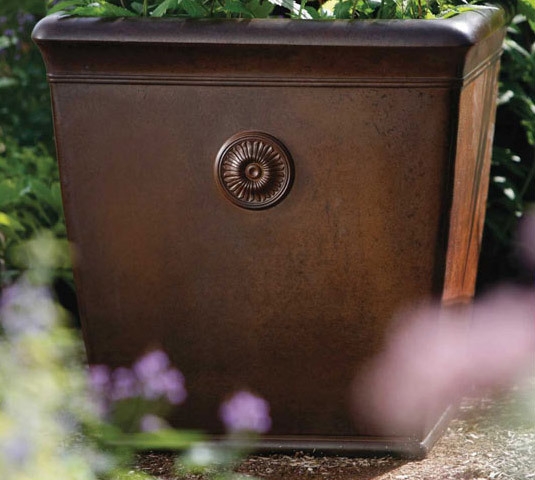 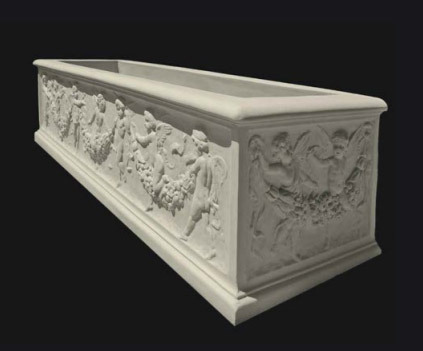 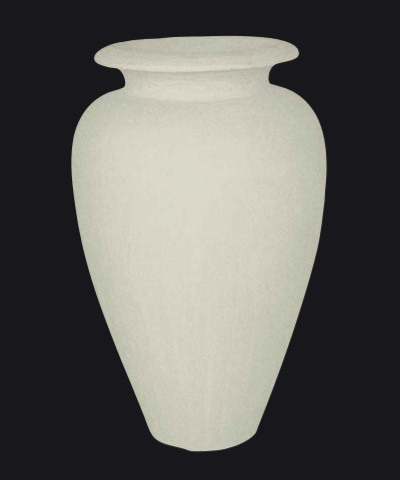 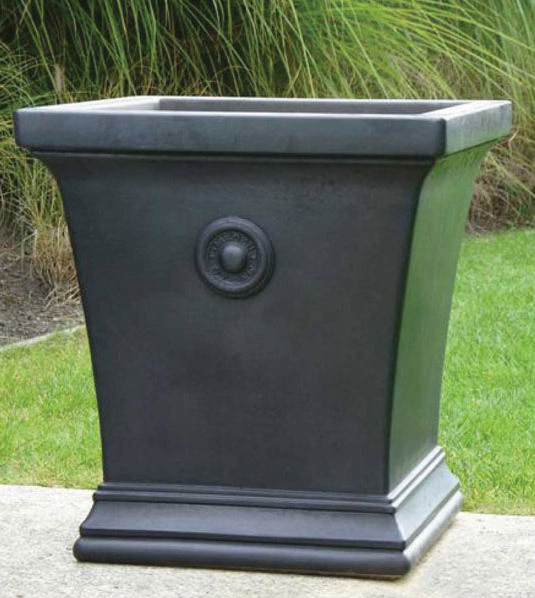 This GardenStone Bedford Planter is shown in a bronze finish, and is also available in black. 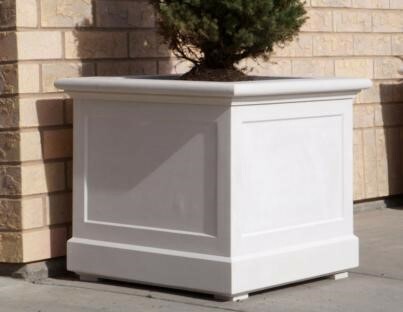 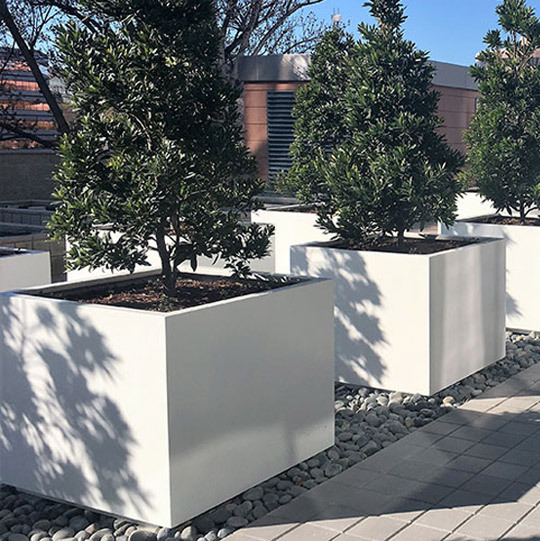 This planter features a classic look with a square top. 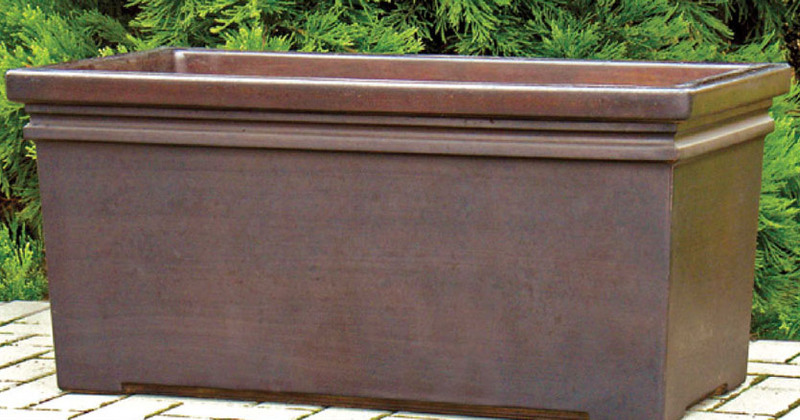 Made of concrete, this planter is built to handle any weather. 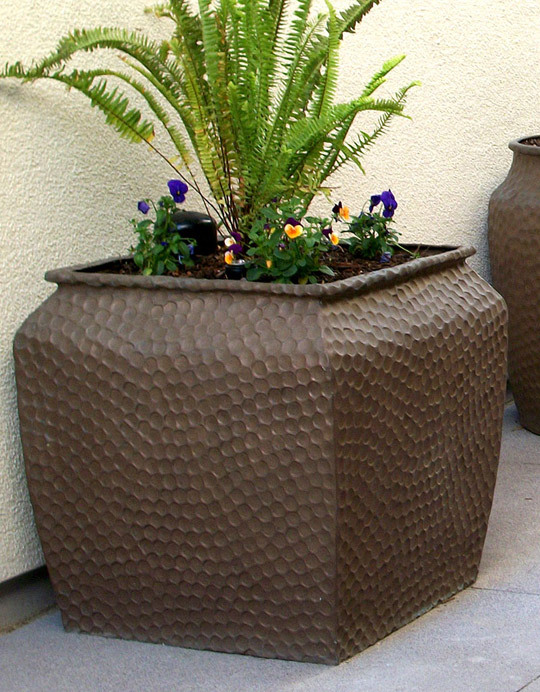 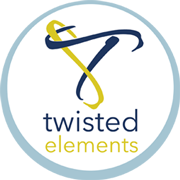 GardenStone includes a 5-year unconditional weather guarantee, and will replace any product that cracks due to frost.